The GPCR — Drug Targets Report on G-Protein Coupled Receptors (GPCR) covers types of various GPCR Families and ligands targeting GPCR. Included are: GPCR families: Rhodopsin, Secretin, Metabotropic glutamate and much more. And, Ligands targeting GPCRs: Peptides or Proteins, Biogenic Amines, Lipids and others.This exclusive report is a market analysis of each of the Families and ligands targeting GPCRs by their respective categories. 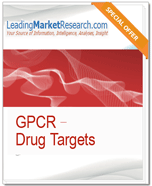 This study includes estimations and predictions for the total global GPCR – Drug targets market, as well as, key regional markets that include North America, Europe, Asia-Pacific and Rest of World. To view the tale of contents, click here. 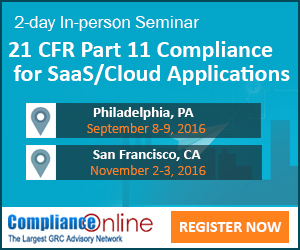 For sample pages, click here. In a addition, this valuable guide includes a compilation of Worldwide Patents and Research related to GPCR Drug Targets. FDAReg Watch is providing 10% off the original price of $4,400.00! Click here, then enter Savings Code: LMR456BB at check-out to receive your discount.